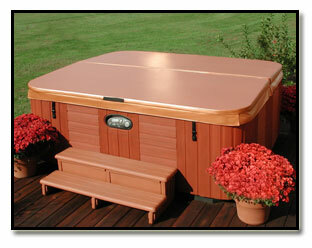 Founded in 1983, Sonshine Covers has grown to be a trusted partner in the spa and hot tub industry. The story of our entry into the world of spa cover manufacturing started with a customer asking us if we could build them because we advertised sewing on our business card. Responding to our customer’s needs, we soon began producing what has become the ThermoShield premium spa cover line. As we’ve grown, we’ve maintained a family-owned business feel with a steadfast commitment to quality, customer service, and a never-ending quest to improve. From our service oriented beginnings, we have proudly manufactured spa covers by holding fast to our philosophy that a good product will sell itself. Innovation is in our culture. Waiting on our competitors to set the bar has never been our style. From engineering better vapor barriers and laminated foam cores for walk-on strength to introducing reflective bottom materials, we have led our industry in improving spa covers. At Sonshine Covers, our goal is to be a solution provider, not just sell superior products. We realize that your customers are not exactly alike, so we don’t offer a one-size fits all approach to spa covers. We start with a variety of base models and offer various upgrades to custom tailor the product to your customer. We back up your sales force with Point of Sale systems and training to make it easy to market the options and maximum your profit. We know it’s important to offer a good base solution for the budget-minded shoppers out there, but believe that you should give the customer an opportunity to spend more on a better cover. •	Minimizing freight costs through our flat-rate local delivery programs and our affordable LTL charges stemming from our negotiated deeply discounted rates and central location in Cincinnati, Ohio. •	Getting the customers attention and closing the sale with our customized point of sale systems. •	Matching our custom made-to-order product with your client’s needs and budget. •	Accessorizing the sale with our distribution of related products like Cover Valet cover lifts and steps, as well as the #1 recommended spa cover conditioner 303 Aerospace Protectant. As our company grows as we have over the last 30+ years, we remain committed to keep doing what got us to this point: Make a quality product and continue to innovate. We really think it’s that simple. We look forward to serving you.